Central Oregon’s supremely popular Green Lakes trail is nearly empty during the best time to experience it—at sunrise. The Green Lakes/Soda Creek loop is quick enough to squeeze in during the work-week, yet challenging enough feel like a real accomplishment. It’s a great way to start the day and break up the week while treating your lungs to some fresh mountain air. Sunrise is the perfect time to enjoy this trail because temperatures are cooler and the trail tends to have few, if any, people on it. The alpenglow glancing off South Sister isn’t a bad sight, either. Beginning at Green Lakes trailhead, run over the footbridge and up to the lakes, about 4.5 miles of steady climbing. Stop and take in the still peace of the morning and the glassy lakes. Most people run and hike this trail as an out-and-back and miss all the beauty of Soda Creek. 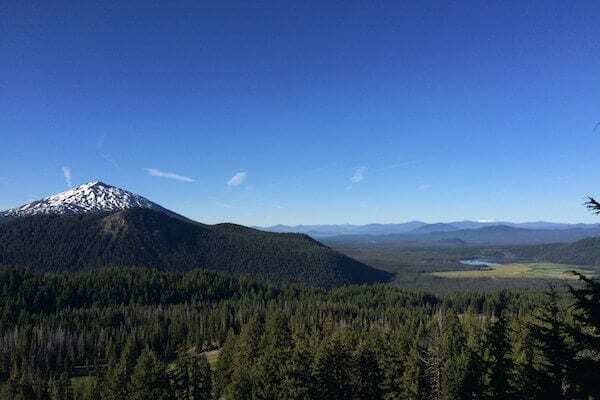 Instead, take a right and follow Soda Creek Trail around the south of Broken Top for views of the Cascade Lakes to the south, Diamond Peak and Mt. Thielsen on the southern horizon, and Mt. Bachelor straight ahead. 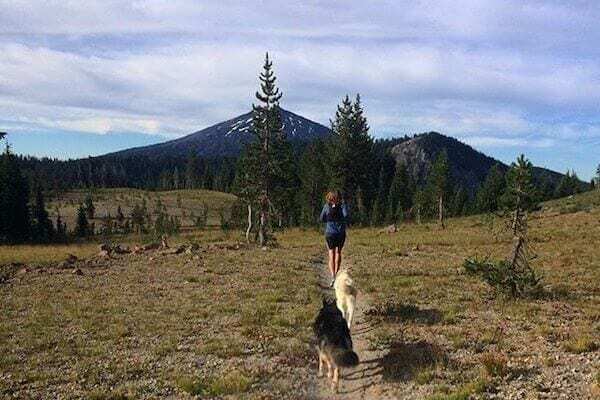 The trail rolls and climbs gradually for another mile from Green Lakes before making a fast and fun switch back descent along Soda Creek. Here, you’ll cross meadows exploding with wildflowers and likely startle some deer grazing in the meadows. The trail bottoms out around mile 10.5 and continues winding back to the Green Lakes trailhead parking lot.